Dilbun Vont: (Narration) apparently doing what you love can’t get old, especially when yu’re paid and encouraged to do it. Cam Droids swarm as a lone caped figure descends upon the scene from a hovering aircar. media representatives are held back by Homeworld Security Command troopers. 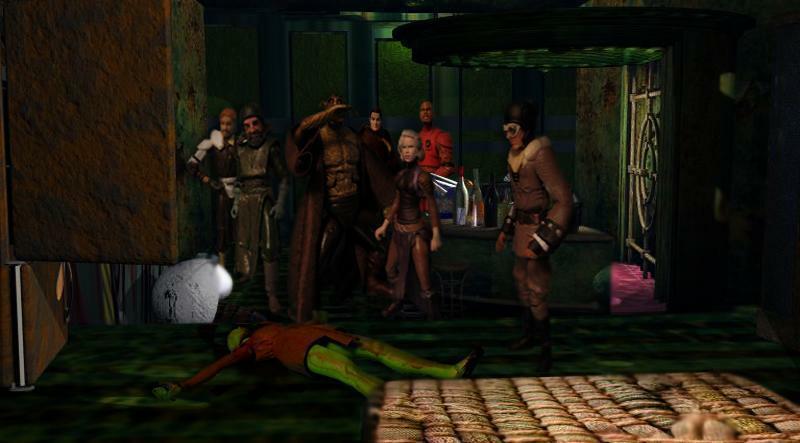 Sloan Snickers: homeworld security continues to obscure the view of the most recent victim of the remorseless Lekku Loper, this being the seventeenth victim of the still at large murderer. a maniac whom it would appear both the Homeworld Security Command and the Jedi Order cannot bring to justice! Trooper: move along! my orders are to be taken as if they came from the supreme chancellor himself! the crowd clears and the Jedi enters the crime-scene. stretching out in the force, hoping to step backwards into the flow of events that led to this outcome. the images come suddenly; the spatter, the joy of the killer, his face and identity continue to be elusive. as if the perpetrator was so engrossed in the act that his whole identity was actually encumbered in the act of the murder. puzzled the knight, scans the scene with his actual eyes. 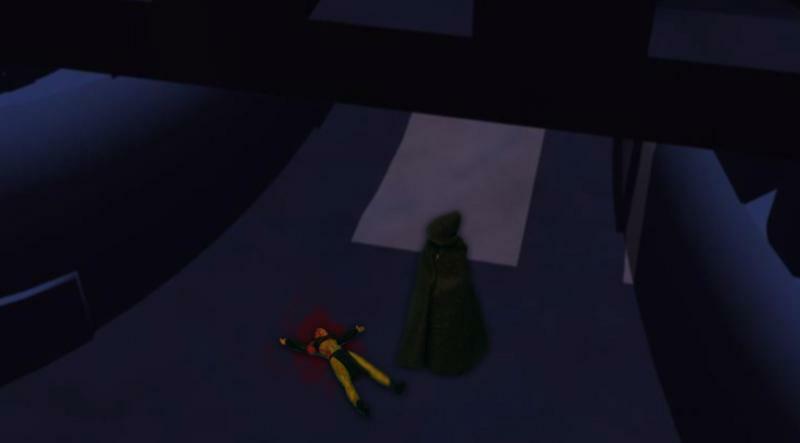 as expected, the Twi’lek woman is brutally wounded and beaten to death. no sign of a weapon having been used other than the vibroaxe used to hack off the lekku. and as usual, they where clearly removed as the victim died and are not to be found at the crime scene. Empatojayos Brand:(removing hood) bring in the forensic droids. i must report to the council. Trooper: (blocking path) the chancellor requires your presence immediately. Empatojayos Brand: my report to the council is overdue and..
Trooper: according to the newly issued line of command, as long as the jedi are enlisted members of the Grand Army. a summons from the chancellor is infact a direct order to appear. Your car awaits sir. Empatojayos Brand: how long before were ordered to adhere to a dress code and numbered identification? Trooper: just following orders, general. the LAAT speeds above regulated air traffic and descends upon the senate’s front entrance. where a small media gathering surrounds the Chancellor, Mas Amedda and his red guards. 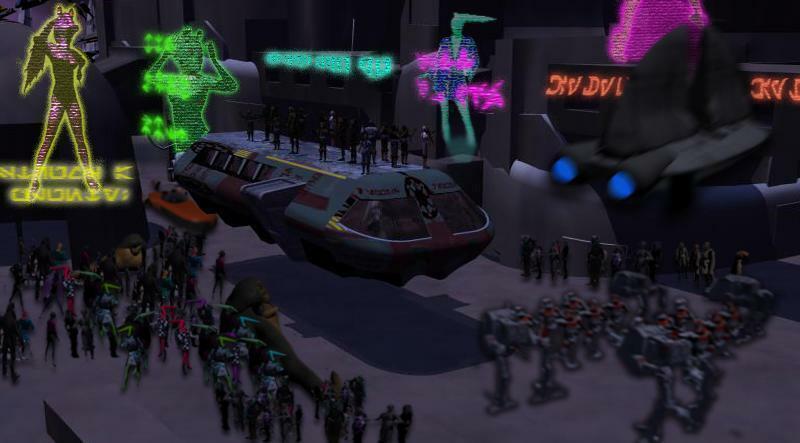 The Laat lands beside the gathering, Master Brand approaches the podium. 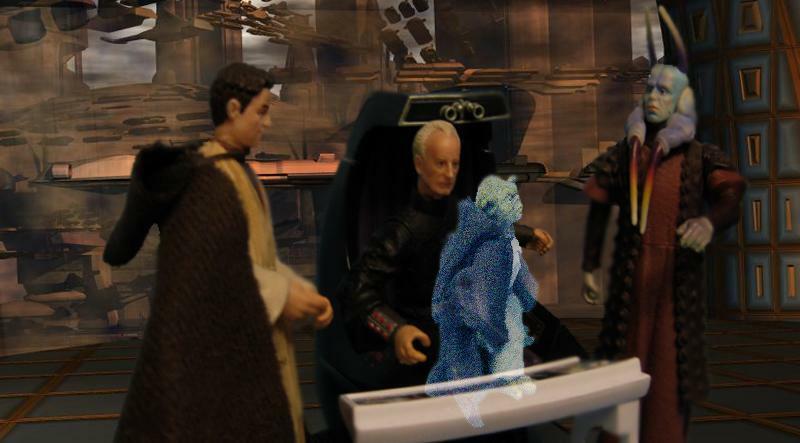 Palpatine: and our Jedi Inspector arrives from the scene of the latest atrocity. what can you tell our galactic citizens Empata..ja master Brand? Empatojayos Brand: (CLEARLY ANNOYED) as per customs chancellor. details of an ongoing investigation are classified. no matter how high the profile of the scenario. therefore i’m currently not at liberty to divulge any specific details regarding the newly discovered possible victim of the uh..“Lekku Loper”. 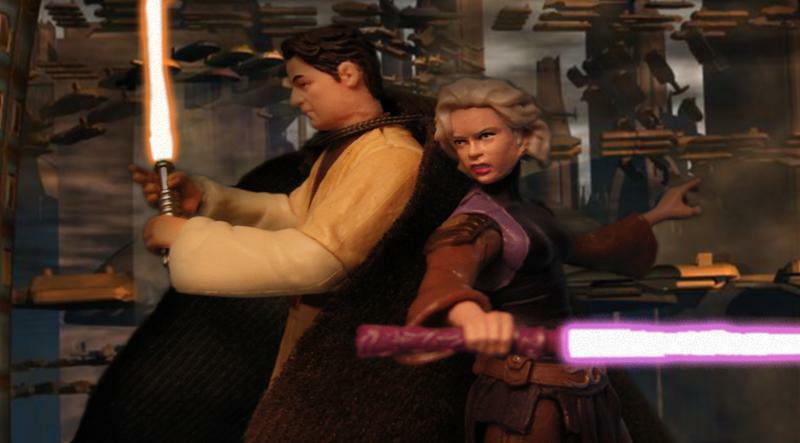 Sloan Snickers: yet again the Jedi Order are stonewalling the public! first the infant snatching, then the confed’s leader and now this! is it safe to assume this Lekku Loper is a member of the jedi order gone rogue and that is why your investigation continues to flounder Master Brand? The crowd becomes unruly and the home-guard enters the scene. the air settles and the conference continues. Empatajayos Brand: i’m not at liberty to speak for the entire order, but i am personally insulted by the slander you’ve uttered here today. as for this sham of a meeting, i will take no further questions from the media while these crimes continue to go unsolved. that will be all. Brand attempts to leave the podium. but is blocked by red guards. Palpatine: i’m sorry master Brand, but the republic requires answers and since you are unwilling to appraise them of the situation or bring this killer to justice then i must do what my authority begs of me. Empatajayos Brand: and what might that be chancellor? The crowd goes silent in anticipation, cam droids gather closely upon the unfolding scene. 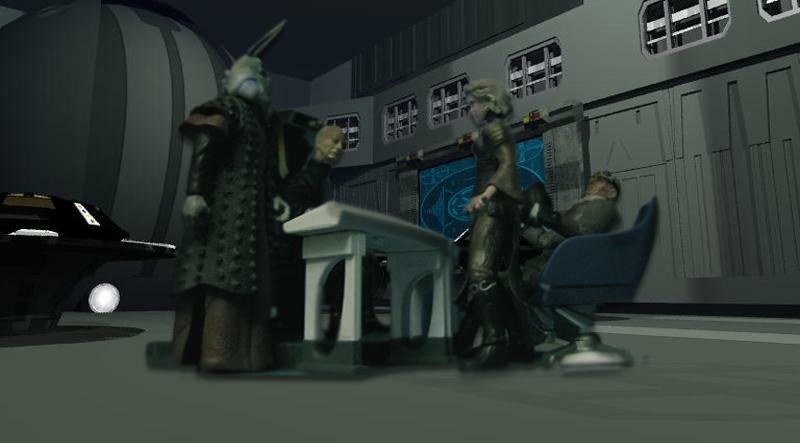 Palpatine: as of this evening my office has been forced to pull five Jedi Generals from the fields of war to assist Master Brand in the Lekku Loper investigation. 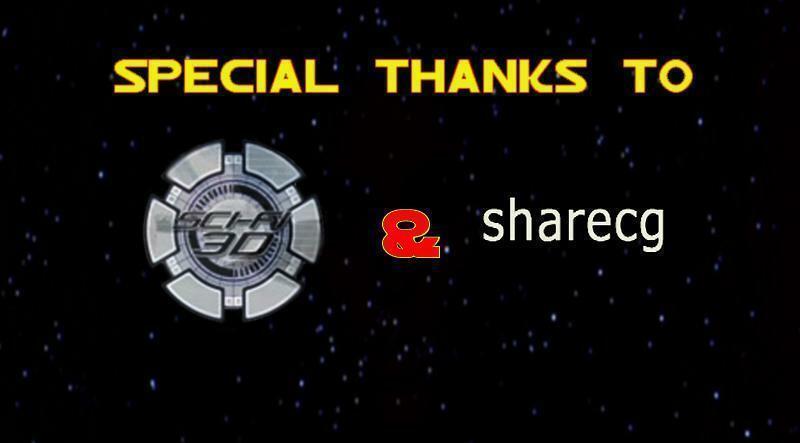 not only the war effort will suffer for Master Brand’s failures, our ally Corellia will loan one of its finest CorSec agents to the investigation. Sloan Snickers: why don’t you just ship brand back to Murkhana! that battle ain’t anywhere near done. or better yet send that tub of fodder to the jedi temple kitchens to clean up after the other baby snatchers! The Homeguard troopers move in closer, the media falls silent. Palpatine: please do not mistake my displeasure regarding this ongoing investigation to be a personal vendetta against Master Brand, he was the jedi whom secured the surrender of Domb Treetor at the Battle of Bassadro after all. the actions i’ve taken this night are merely my duties as supreme chancellor! 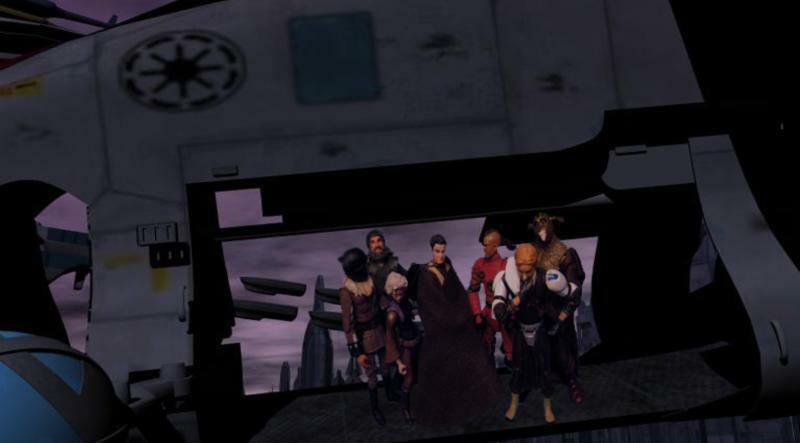 if the investigatory team assembled this night cannot bring the lekku loper to justice, then I.m afraid the senate will be forced to further amend the constitution with which our grand republic was formed. and that my friends cannot happen, for if it continues the separatists win. 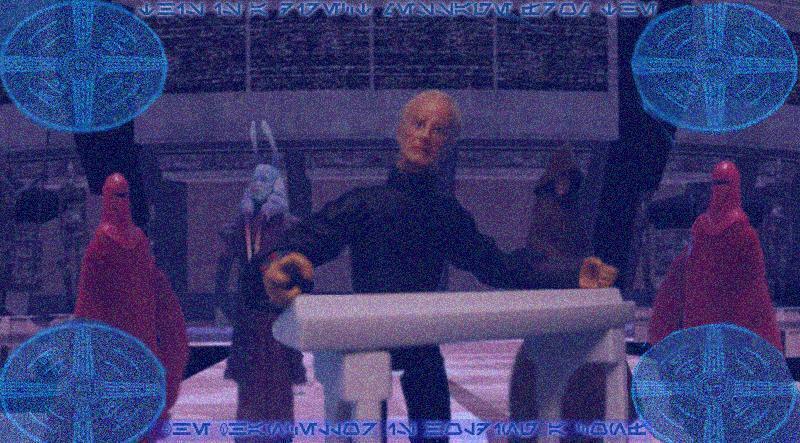 Palpatine exits the podium as followed by Master Brand, Mas Amedda takes the holo-mic to bring an official close to the gathering. Sloan Snickers: who are these five jedi the chancellor’s called from battle! Mas Amedda: in an effort to deny the enemy a strategic advantage that information will be confidential as long as it can be. this gathering is at an end. 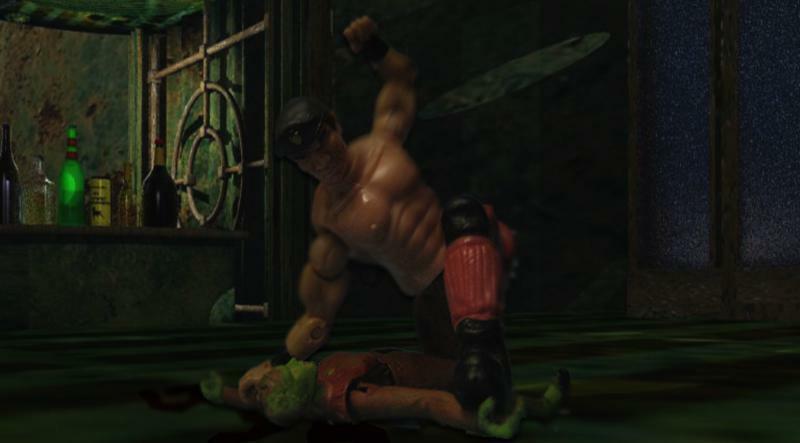 Empatajayos Brand: i’m greatly offended by the way your office has put my neck out on the chopping block chancellor, in my opinion the public has been given all together too much information regarding this entire investigation. Palpatine: would you approve of my dismantling the holonet and abolishing the right of free speech Master Brand? Empatajayos Brand: not at all, but as the acting wartime chancellor it would appear you can do whatever you please. Mas Amedda: this bickering is pointless Master Brand, the truth remains. your investigation has offered no results therefore inorder to maintain a semblance of law and order on this being the capitol of the Republic, we must tarnish your image for the time being. Empatajayos Brand: i take it this is an order and would i be safe to assume this is classified information that unlike the results of my investigation will not be leaked to the holonet? Palpatine: Master Brand, i was under the impression that Jedi where above the petty insecurities of ego? 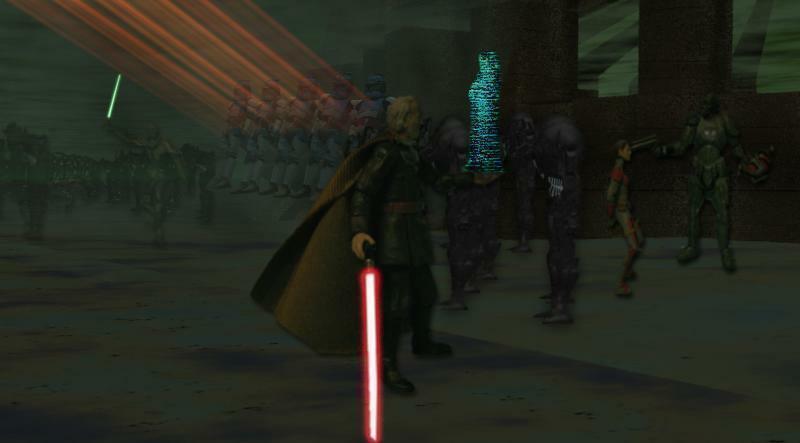 before the outraged Jedi Inspector can retort a hologram of Master Yoda flares to life beside the small group. Palpatine: Ah, Master Yoda. i assume word of my intervention in the Lekku Loper investigation has reached you. Yoda: (via hologram) seconds ago it had. understanding am i of the situation, but agree with your handling of it i do not. at the feet of the jedi are you laying the blame for the investigations status. Palpatine: a common misunderstanding grand master, I’m employing a tactic which i can assure you, many of our legal analysts have concurred always leads to incarceration of such serial killers. 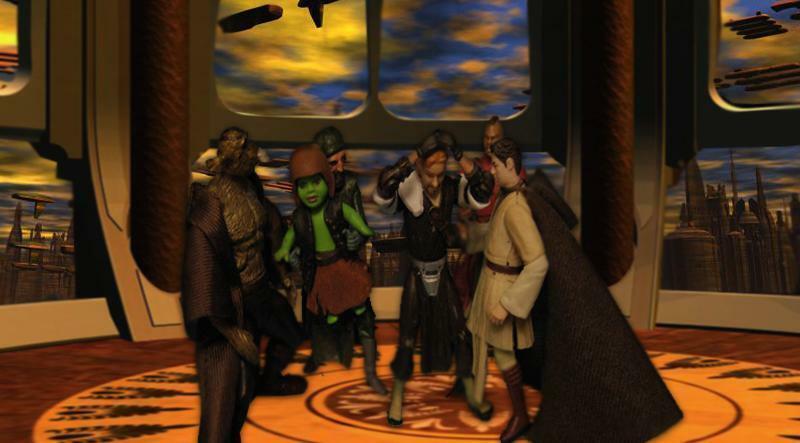 Yoda: (via hologram) regardless of your analysts assumptions, with the council lies the task of assigning Jedi to investigations. Mas Amedda: Master Yoda while you’ve been on assignment another military command structure revision was passed. 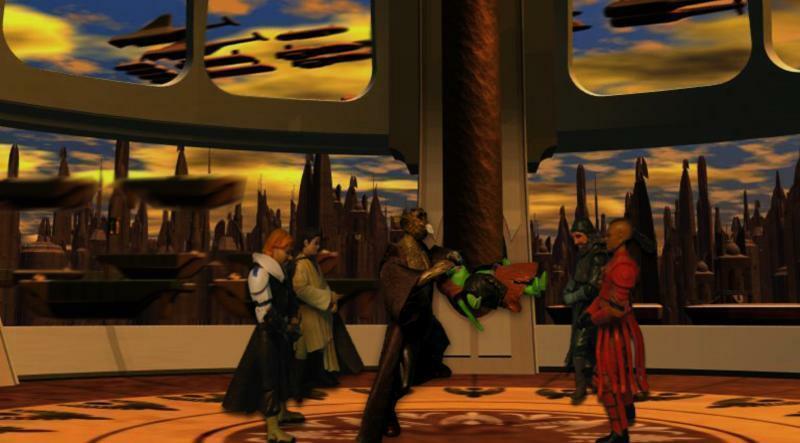 as of two cycles ago the chancellor has the authority to reassign the tasks of Jedi forces serving in the Grand Army. Palpatine: speaking of which how goes your operation in the Bpfasshi system? 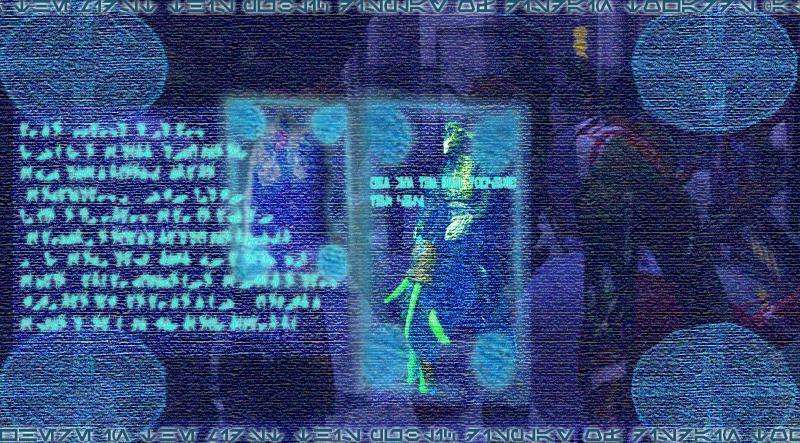 Yoda: (via Hologram) Unable to locate the Bpfasshi Dark Jedi cabal have i been, in the thrall of terror the Sluis Sector remains sadly. Empatajayos Brand: if we can get past our internal problems, we still have an investigation to conduct. may i get back to it or am i to be recycled back to the war effort as suggested by the almighty public consensus? 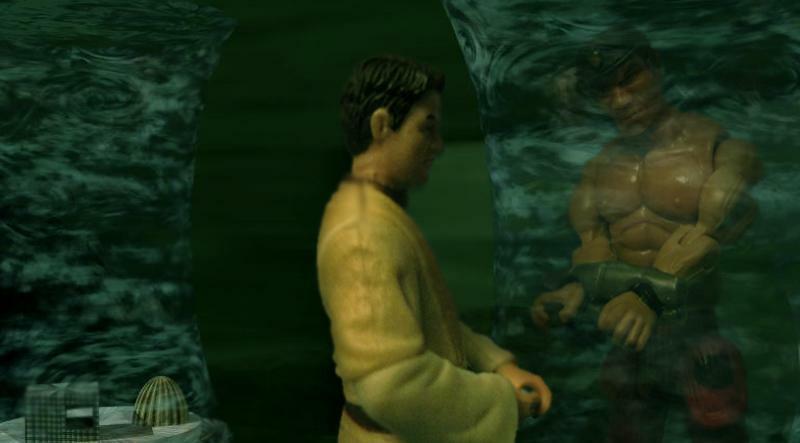 Yoda: (via hologram) of the jedi whom have you reassigned to this Chancellor? 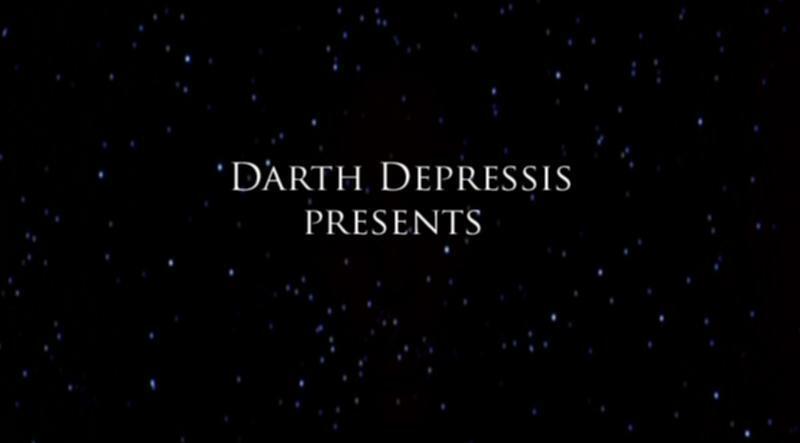 Palpatine: now, now. are the jedi not our allies in this conflict majordomo? Mas Amedda: i’m sorry if i have insulted you grand master. 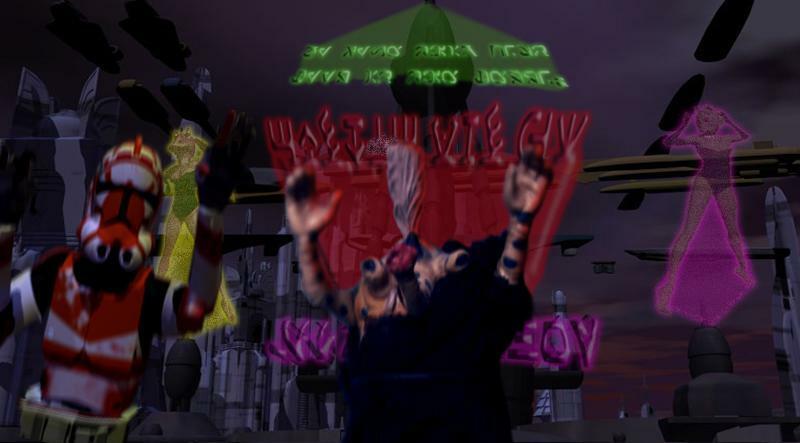 Yoda: (via hologram) not governed by emotions am i.
Palpatine: Master Brand will remain with the task force as per my statement this evening, he will be joined by Koffi Arana,An’ya Kuro,Nejaa Halcyon,Ylenic It’kla,Ranik Solusar and Rostek Horn of CorSec. whom i’d might add Senator Bel Iblis did not willingly reassign. 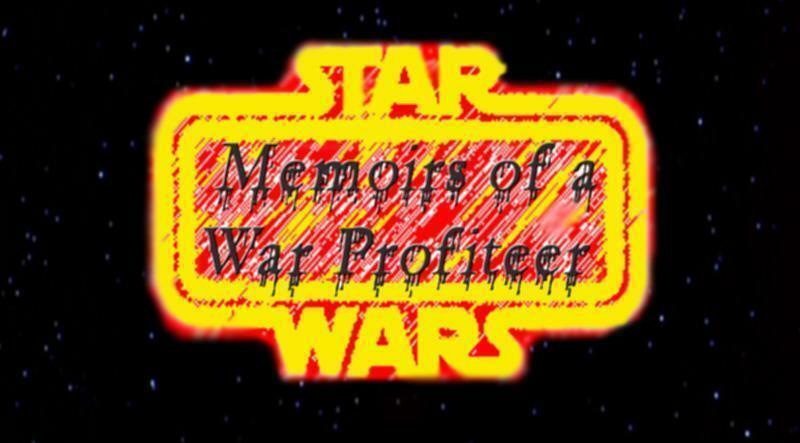 Empatajayos Brand: (flabbergasted) if i recall correctly Ranik Solusar was recently admonished for breaking several vows central to maintaining his commitment to the jedi order. and The Dark Woman doesn’t work well with others. An’ya Kuro: (materializing) one might also call into question the practices of Corellian Jedi? Mas Amedda: (astonished) where’d she come from, security we’ve been breached! suddenly the red guards spring from the shadows wielding their stun pikes. reacting flawlessly. both brand and kuro ignite their lightsabers and adapt a back to back fighting stance. the guards come within a breath of striking the deadly pair of Jedi. 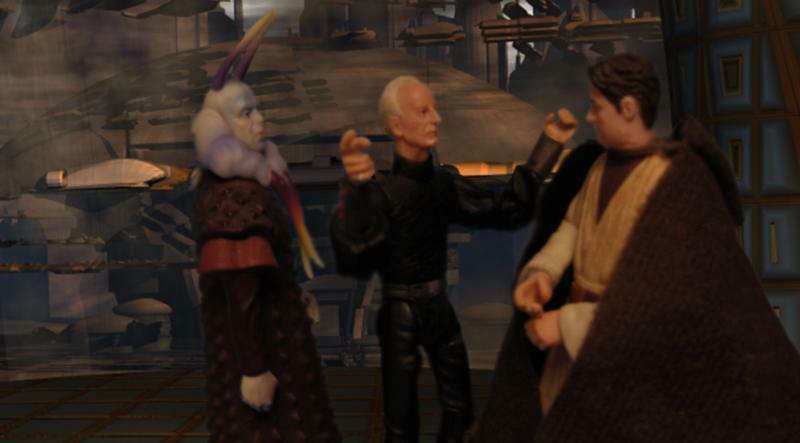 An’ya Kuro: (looking at palpatine) never thought i’d miss the days of Valorum. Empatajayos Brand: You really need to teach me how to do that phasing technique. An’Ya Kuro: all it requires is complete humility before the Force. 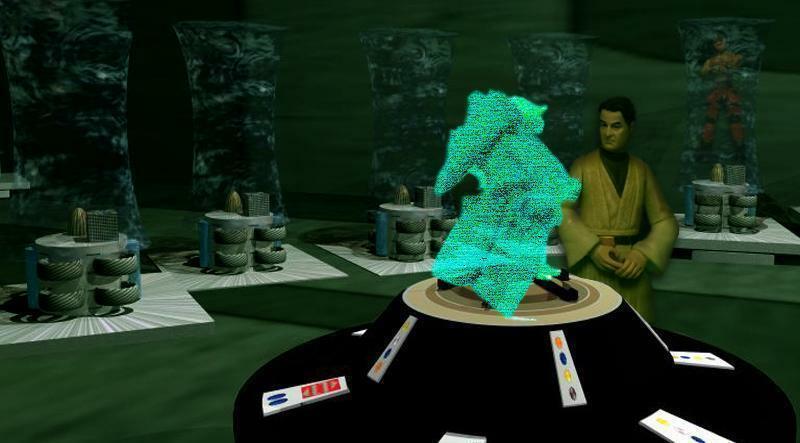 Yoda: (via hologram) safe to assume it is that under control the situation on Ord Namurt remains Master Kuro? An’Ya Kuro: there is no situation, master Yoda. my padawan elected to join the war effort. Palpatine: ahh, another fine warrior for the republic. how proud you must be Master Kuro. An’ya Kuro: first off chancellor, as a sign of selflessness i abandoned my name shortly after my trials. secondly my apprentice’s talents lay along the path of the seer. plus Vors aren’t exactly known for their combative abilities. Palpatine: well rest assured Master..Jedi, that your apprentice can rely upon her loyal clone infantry where her weakness may intrude. a brief silence falls over the overly opulent meeting room. 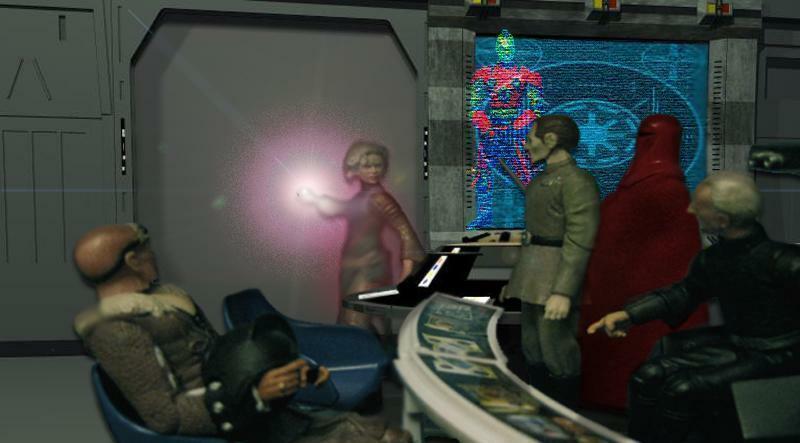 Yoda: (via hologram) In your hands it would appear the details of this investigation remain Master Brand. May the Force be with you. the hologram of yoda dissipates. Koffi Arana: Excuse me if i come across as curt if i am unable to grasp the reasoning behind all of our involvement in this Investigation? my work on Tatooine was beginning to foster clues regarding the Sith Lord Master Kenobi vanquished during the battle of Naboo. Ranik Solusar: interesting point Koffi, i myself was sifting through the remains of the black sun crime organization right before the news of my sons parentage happened to tear a new hole in space across the holonet. Empatajayos Brand: been alot of that going around lately. An’ya Kuro: why you continue to serve the order is beyond me Ranik! a jedi whom flagrantly disregards the edicts of the order should be expelled! Ranik Solusar: spare me dark woman i’ve already willingly submitted myself to the admonishment of the council and the disrespect of the entire order. Nejaa Halcyon: the conclave on Corellia has already offered you and your family asylum Master Solusar. Empatatjayos Brand: my fellow jedi, it is my opinion that we are assembled here for a single purpose. misdirection. Ylenic It’kla: surely you cannot believe that these murders are not connected Master Brand. An’ya Kuro: the media’s attentiveness towards its every movement is unusual to say the least. Koffi Arana: and you cannot detect any imprint of the killers identity at the crime scenes Master Brand? Empatatjayos Brand: as stated in my reports Koffi. Ylenic It’kla: one witness is all that we require for me to form a memnii. Rostek Horn: (entering the room) we both know a string of memnii won’t hold a bucket of water in a courthouse Ylenic. Nejaa Halcyon: (shaking hands) well here we go again. Rostek Horn: (shaking hands) same as always huh? Koffi Arana: (listening to comlink) better soak up your camaraderie while you can guys, they just found another body. 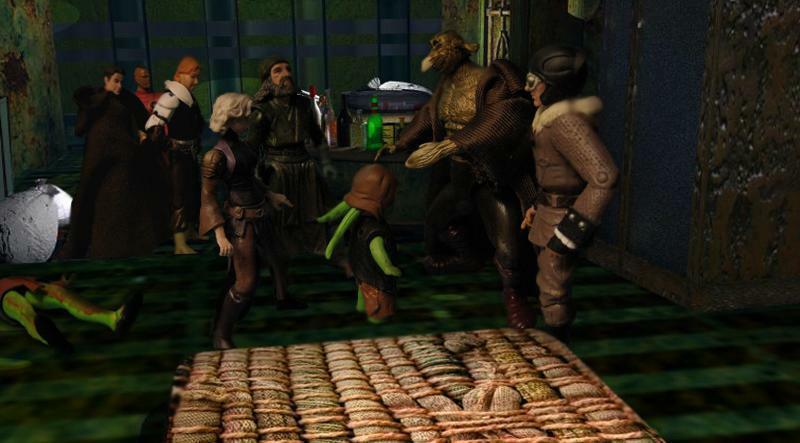 Sloan Snickers: the scene is a gloomy one, yet again citizens the media has been shut out of the loop of the habits,characteristics of the notorious Lekku Loper! two strikes in one rotation where will it strike next! we cannot tell you because we do not know thanks to the blundering actions of lead investigator: Emppa-tayjayoos Brand! Trooper: this section is currently under the direct control of the home-guard cease broadcast of that communication immediately! the media team disperse, a single LAAT sets down near the entrance to the seedy hotel. 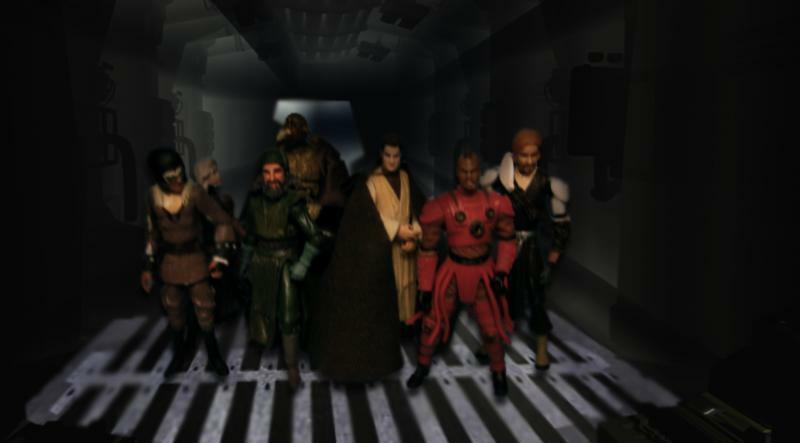 five jedi and one Corsec agent enter the building. Rostek Horn: too bad i don’t have central authority here, i smell ryll. ryll Nejaa can you believe that? Nejaa Halcyon: you should take in some of the decay on the fringes, there are worse things going unnoticed within the shadow of this accursed war cast upon the galaxy. Ylenic It’kla: press back the dark thoughts Spicewood, they dull your other senses. Nejaa Halcyon: thanks, i almost let them get the better of me. An’ya Kuro: since when are caamasi jedi as oblivious to central beliefs of the Jedi as corellian Jedi? The investigation team enters a darkened pleasure den, where lies upon the floor a single corpse. 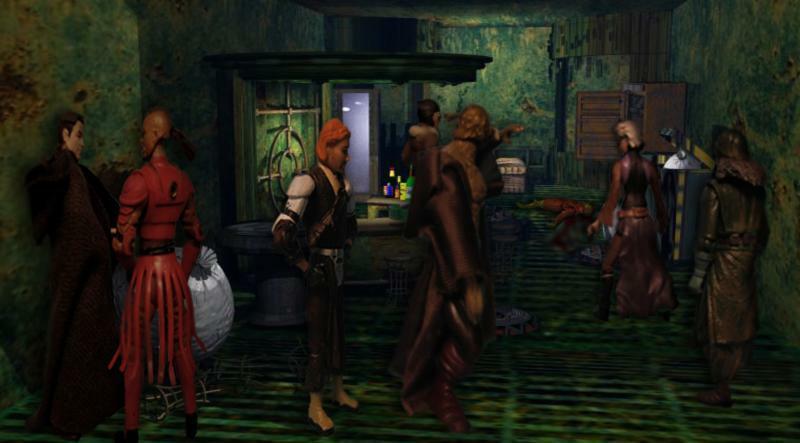 all five Jedi stretch out in the force in-search of clues regarding the ghastly scene. The act is brutal to relive, the scenes are vivid and fresh. Scenes of the previous murders investigation flash through the scene. Empatajayos Brand: i was right across the street. Rostek Horn: the forensic droids concur, this perpe’s baiting us. Koffi Arana: it is as you say Master Brand, other than the Twi’lek Strumpet there is no trace of any identity within this room. An’ya Kuro: there is another presence in this room. The others look to the dark woman. suddenly, master kuro lifts the soiled mattress from the floor to reveal a quivering child. Nejaa Halcyon: how did we not sense her? An’ya Kuro: more importantly, it gives us our first fact regarding the lekku loper. whom ever it may be, it is not force-sensitive. Ylenic It’kla: (taking the child aside) calm yourself young one. Ylenic It’kla: i do not require your words, put yourself at ease while we share this terrible event. Suddenly Master It’kla experiences the sounds and emotional impact of the murder. the child catches a glimpse of a shining medallion upon the perpetrators military issue beret. loud screams of agony in huttse conclude the experience. Nejaa Halcyon: i sense a great dread within you Ylenic. Ylenic It’kla: the child only caught a glimpse of the lekku loper’s Beret, a military issue one i’d might add. Empatajayos Brand: rep or sep? Ylenic It’kla: it was Militarist grey and adorned with a gold medallion, it could only be of the Grand Army. An’ya Kuro: what have we gotten ourselves pushed into here? Rostek Horn: those berets are special issue, were talking a non-clone member of the GA here. 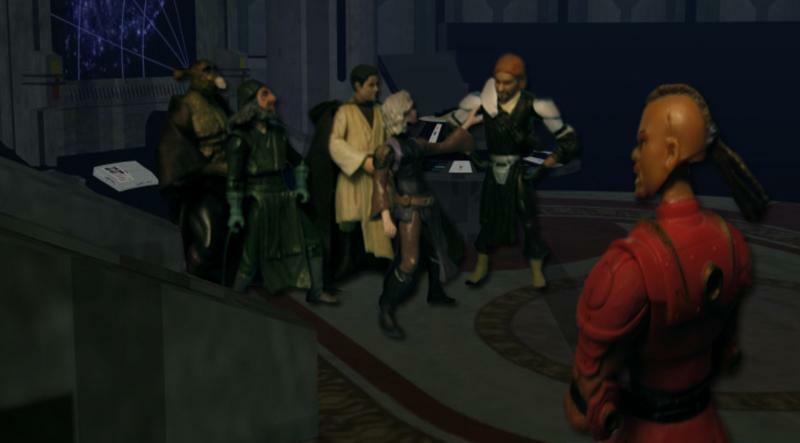 Ranik Solusar: so we can rule out some awol clone, thats great but what exactly are we looking at here? Koffi Arana: this line of thought should not be discussed within a pleasure den. 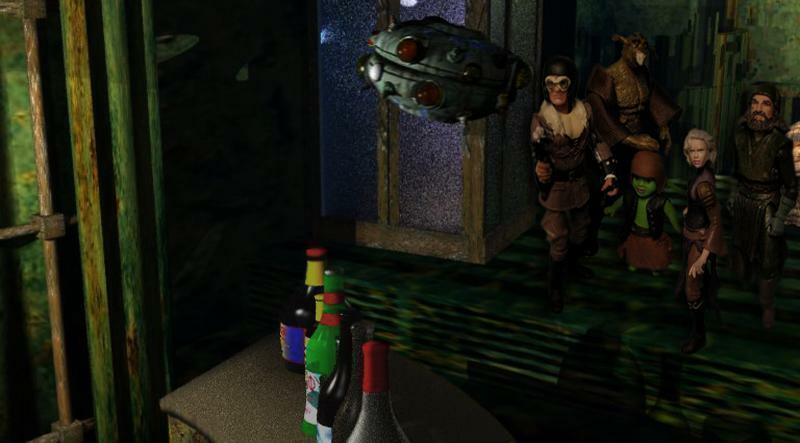 Suddenly the corsec agent takes notice of a hovering holorazzi droid floating across the bar. Rostek Horn: (pulling blaster) get outta here you parasite! Nejaa Halcyon: great, now the loper knows whose on his trail. Koffi Arana: (activating holonet) that’s the least of our problems Nejaa. 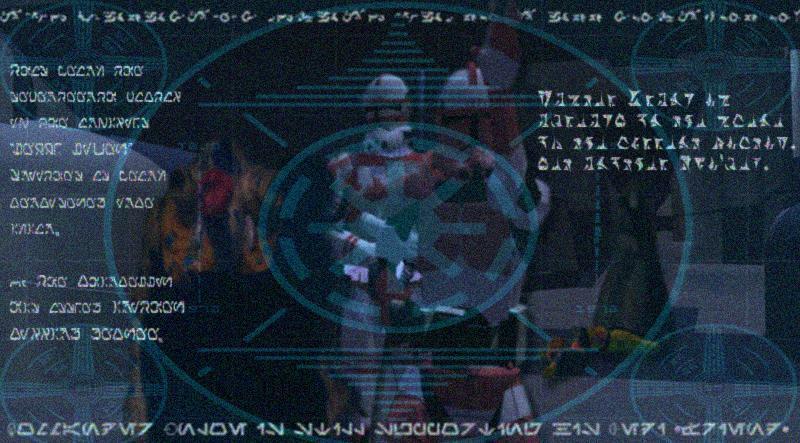 Sloan Snickers: moments ago our affiliate network obtained footage of the current victim of the lekku loper and learned that the Jedi/Corsec Task force have identified the lekku loper as a awol member of the grand army. no word from the chancellor’s office as of yet. Mas Amedda: can we maintain a civil line of discussion Agent Horn! Rostek Horn: excuse me majordomo, but my investigation has been completely compromised! and quite frankly i am willing to go with the media’s misconstrued logic behind this entire chain of events. Palpatine: are we really having this discussion again? how exactly would sending a operative on a killing spree benefit the grand army? An’ya Kuro: first off, what benefits the grand army usually benefits the executive branches of power. secondly this entire sham of an investigation has kept the entire core glued to the holonet for the past two cycles, no unwanted wartime news has penetrated the infamous lekku loper rumor mill. Palpatine: i will not take this line of accusation lightly Master Kuro. Mas Amedda: might i suggest we redeploy her to the outer rim offensive your eminence. 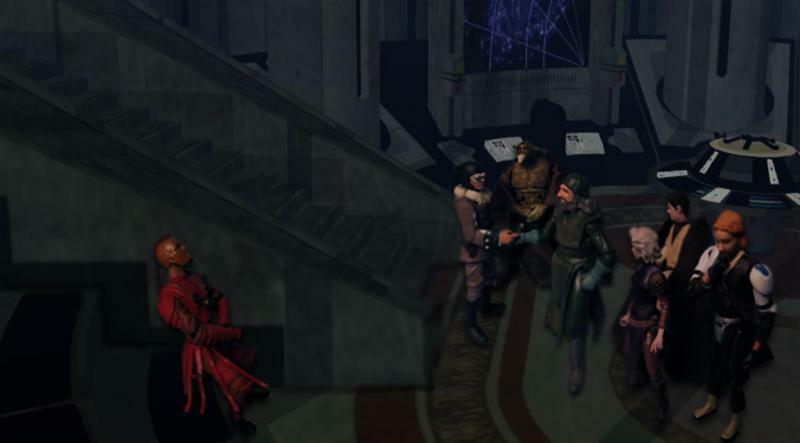 Rostek Horn: wow, why don’t you just confirm the lines of political intrigue which keep corellia out of the war chancellor. Palpatine: will you send in Tarkin on your way out, Majordomo. 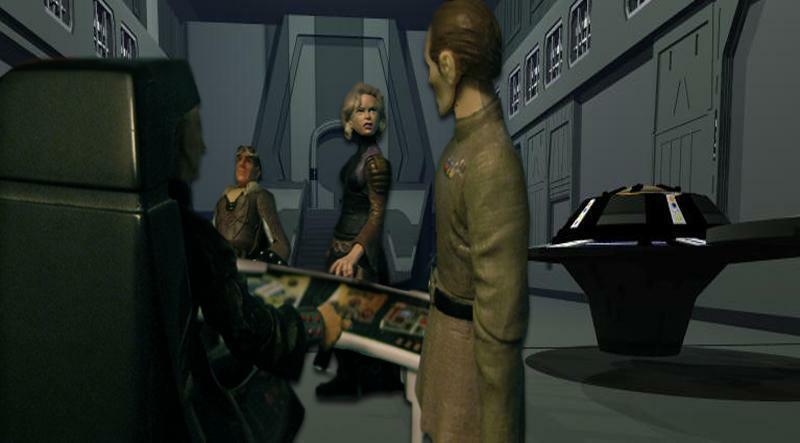 the majordomo dismisses himself from the meeting and Wilhuff Tarkin enters the room. Palpatine: now that the suspected holonet leak is out of ears-shout, we can begin again. An’ya Kuro: if only i could sense a truthful deception, i’d might believe your change of mood. 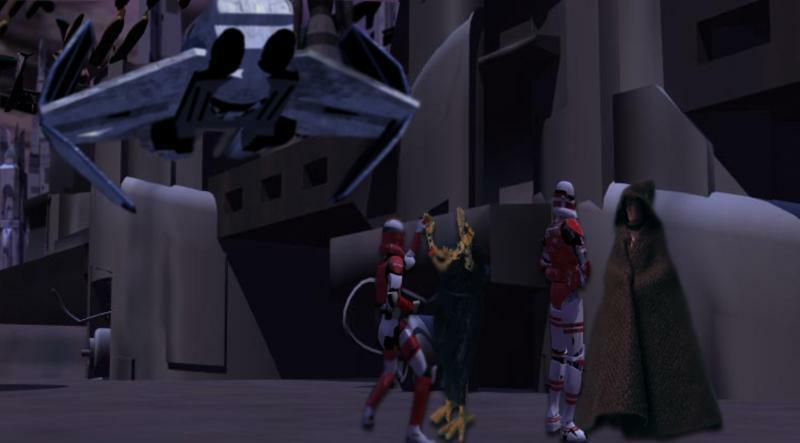 Rostek Horn: (holding out micro-cam droid) sorry to disappoint you Master Kuro. but Amedda is the leak. Tarkin: i thought there where six of you on the task force? Rostek Horn: media report or actual intell? Tarkin: the chancellor keeps my office apprised of all operations agent Horn. An’ya Kuro: Masters Brand,Arana,Solusar,Halcyon and It’kla are working the only lead we posses. Tarkin: ah yes, a Memnii. i’ve heard from this distorted image you’ve taken notice of a Militarist Beret. Rostek Horn: that’s the rumor. Palpatine: why will you not share with us what you’ve found? can you not show us this memnii recording? Rostek Horn: a memnii is not a recording, its an extremely vivid memory which can only be produced by members of the Caamasi race. An’ya Kuro: luckily our master It’kla is a member of that race, he was able to form one by attempting to alleviate the pain of the most recent victim’s progeny. Palpatine: so your smoking blaster evidence is…a memory. Tarkin: gleaned from the child of a strumpet’s mind no less. An’ya Kuro: clearly it holds enough water to ruffle your collective feathers Senator Tarkin. 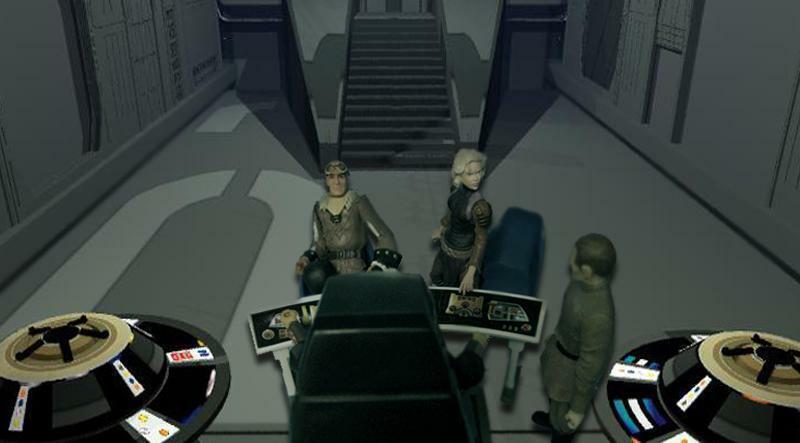 Tarkin: no wonder the prisons of Corellia bustle, if these memnii are considered a damning form of evidence. 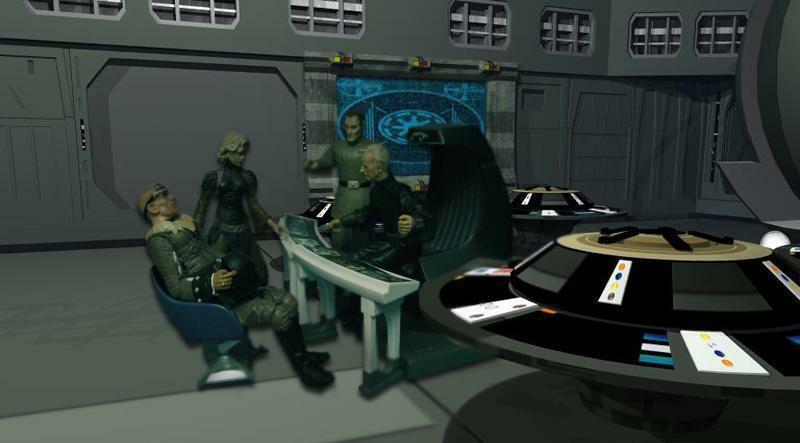 An’ya Kuro: so the tarkin clan still holds a grudge against the Jedi. Tarkin: not at all Master Jedi, due to your orders continued silence my cousin’s role in the stark hyperspace war remains a shining achievement. An’ya Kuro: Yoda and his point of view approach never ceases to amaze. Palpatine: true enough, now what does your task force require to bring an end to this string of heinous acts? Rostek Horn: access to the Grand Armies non-clone combatant list. 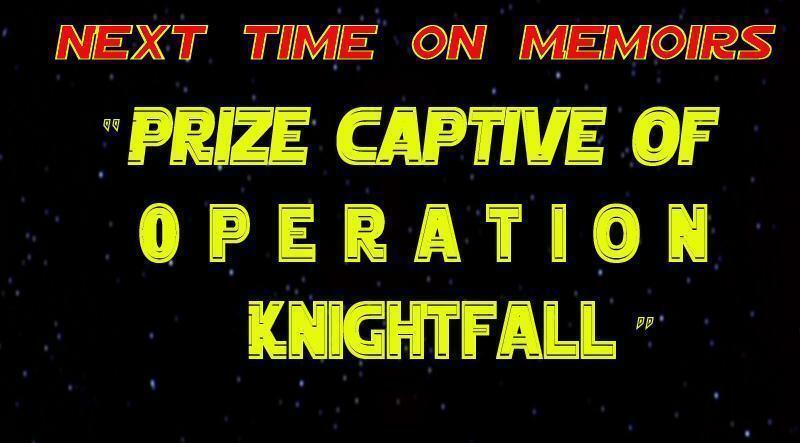 specifically the Operation Leaders core of service. Tarkin: we cannot compromise the identities of our clandestine operatives, especially to an agent of another galactic faction. Rostek Horn: are you questioning the loyalty of Corellia! Tarkin: yes and no. 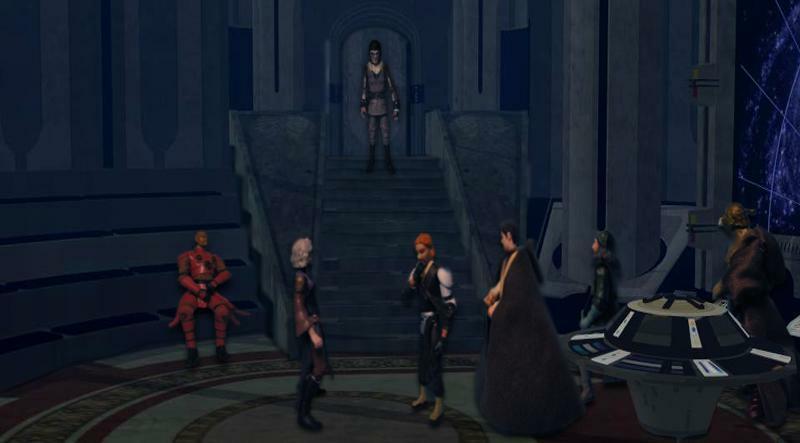 First off Senator Bel Iblis’s declaration of Contemplanys Hermi keeps Corellia’s allegiance up in the air. secondly..
An’ya Kuro: what’s your position on clandestine members of the grand army seeing the list? 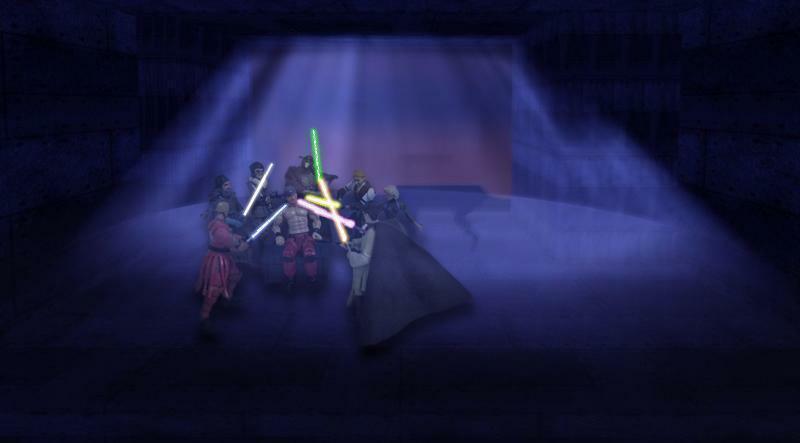 The five jedi stand around the floating child in meditation. 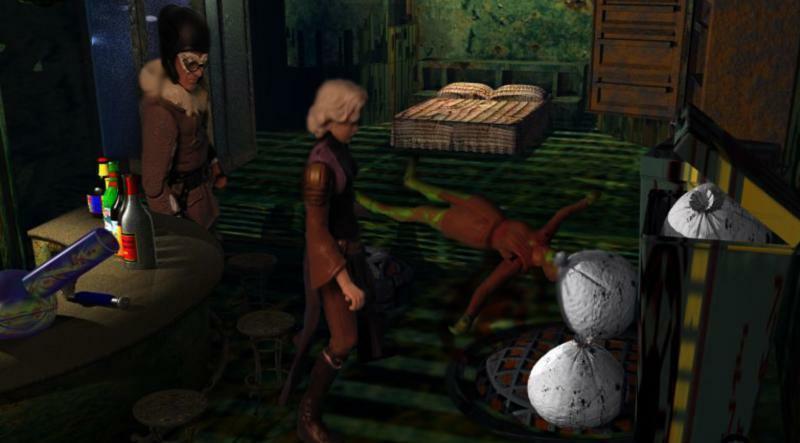 within each of their minds, the jedi attempt to flow walk into the scene of the crime as evidenced by the poor twi’lek child. strained the jedi let the tranquilized child drift back to the floor. Ranik Solusar: those blasted Aing-Tii need to share the greater details of this skill with us. Koffi Arana: i understand our situation requires us to use it, but i still feel as if it skirts the dark side in some manner. Ylenic It’kla: the child can only take so much more before we must submit him to correctional custody. Empatajayos Brand: agreed, after this last attempt we hit the streets. Nejaa Halcyon: can you handle much more of this yourself Ylenic? Ylenic It’kla: force willing, Spicewood. force willing. The five jedi stretch again and attempt to flow walk into the realm of the memnii, the sounds of the poor strumpet blare into their minds, her anguish during the brutal beating. the crashing of the room above the bed rocks their minds. 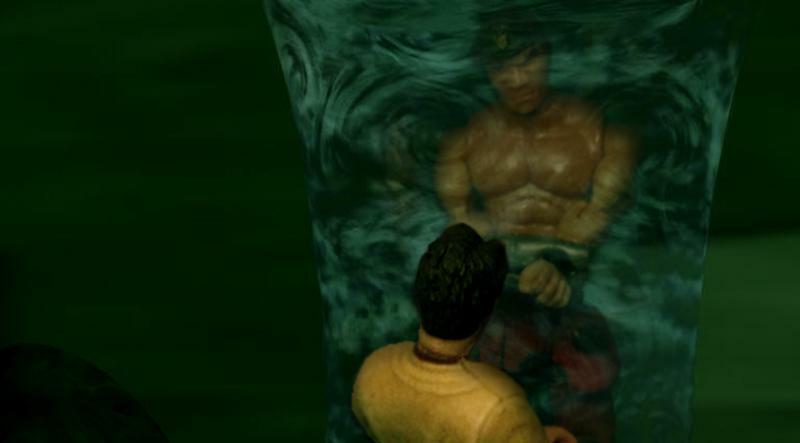 suddenly Master solusar breaches the confine of the Memnii and proceeds to peer into the dim room. 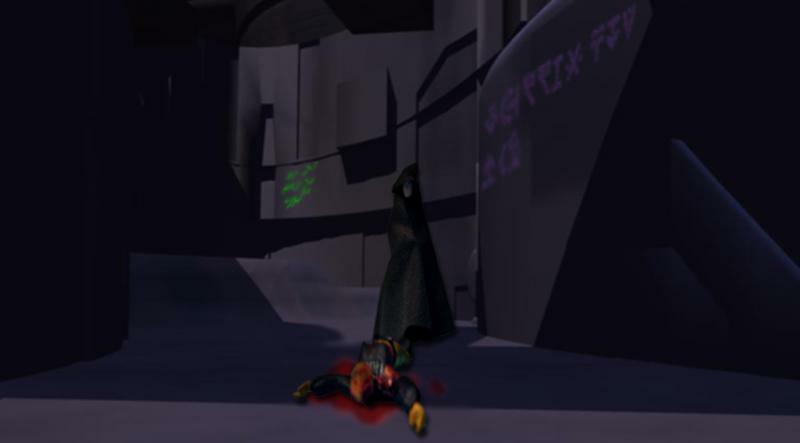 the twi’lek’s blood begins to spatter the walls, Ranik instinctively follows the spatter to the wall. Master Brand breaches the Memnii as well, upon his emergence into the scene he gets a full glimpse at the perpetrators rage filled face. Empatajayos Brand: (flow-walking through Memnii) Ranik look at him! Ranik Solusar: (flow-walking through Memnii) i know him, from…no. Suddenly the flow walk is violently broken, the four fall backwards, Nejaa catches the child mid-air. Solusar squirms on the floor in shock. Koffi Arana: you saw him? Ylenic It’kla: indeed they did, but we must submit the child to the medics. Nejaa Halcyon: one can only hope a reliable Jedi healer will rid the child of its fear. Empatajayos Brand: (attempting to wake Solusar) Ranik, calm yourself. where do you know him from? Ranik Solusar: during my years in the AgriCorps on Bandomeer, he was a derelict child. Nejaa Halcyon: was he a masterless padawan? Koffi Arana: Do you remember his name? Ranik Solusar: The non-force sensitive farmers called him Di Vont. Tarkin: out of the question! i cannot condone the broadcasting of one of the GA’s operatives identity over the holonet. Rostek Horn: so you protect a murderer and allow this chain of murders to continue! Tarkin: suspected murderer, the only evidence your task force has as of this moment is a whole lot of jedi fantasy. Empatajayos Brand: surely you do not intend to go along with this? Palpatine: my hands are tied master Jedi, Senator Tarkin’s opinion on this matter is sadly correct. the populace is already in an uproar over the controversy surrounding this investigation. we cannot add fuel to this raging fire. Ranik Solusar: so the blood of whom ever this psychopath kills next lies upon your door Chancellor. Koffi Arana: if we could air the suspects identity, we could save the lives of his next victims, if not secure his confinement. An’ya Kuro: (materializing into wall) i’ve had enough of this deterrent, i will find this scum before dawn. Nejaa Halcyon: for the first time, she and i are in total agreement. Dilbun Vont: (narration) it’s really amazin how much fun lekku can be, ya take em off a strum an still thay appear attractive. even ina bloody pile dhey entice yea. 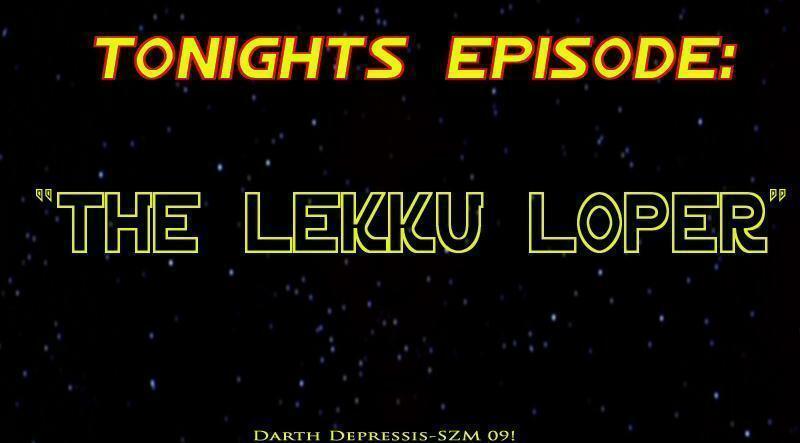 Sloan Snickers: in a stunningly revolting turn of events the lekku loper has sent the populace a message. amidst the spiraling out of control controversy surrounding the investigation, the infamous serial killer has managed to turn the spotlight back upon itself. for the first time in perhaps eons the once bustling coco district is in a state of utter shock at the ghastly site that can be seen behind me! behind the reporter glides a hover platform with a line of bashed up waving protocol droids smeared in Twi’lek blood and adorned in the severed Lekku collected from each of the Eighteen victims. the crowd lines the walls of the streets in disgust and shock. Sloan Snickers: so the main question crossing the mind of this reporter is this: where in the midst this public display of disdain towards Galactic law is the Jedi/CorSec task force to be found? Ranik Solusar: i count only eighteen, so he hasn’t struck again. Koffi Arana: one can hope, have you ever seen anything like this? 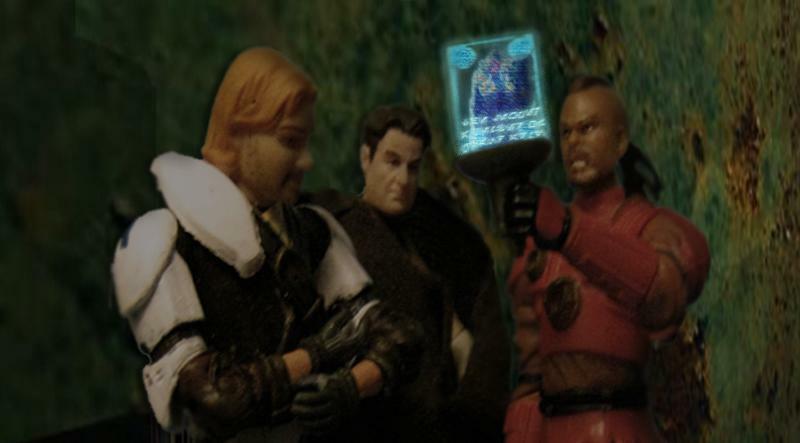 Empatajayos Brand: Master Yaddle spoke of the atrocities of Tulak on rare occasion, i can assure you this is along those lines. Rostek Horn: the forensic droids have good news, the heat signature of the platform is leaving a trail. Koffi Arana: can it be followed? Rostek Horn: already on our way. 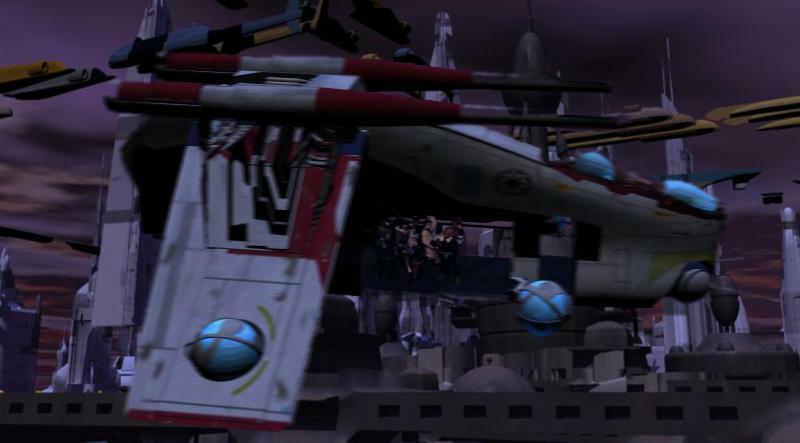 The LAAT soars into the skies as the home-guard attempts to contain the Lekku Parade. 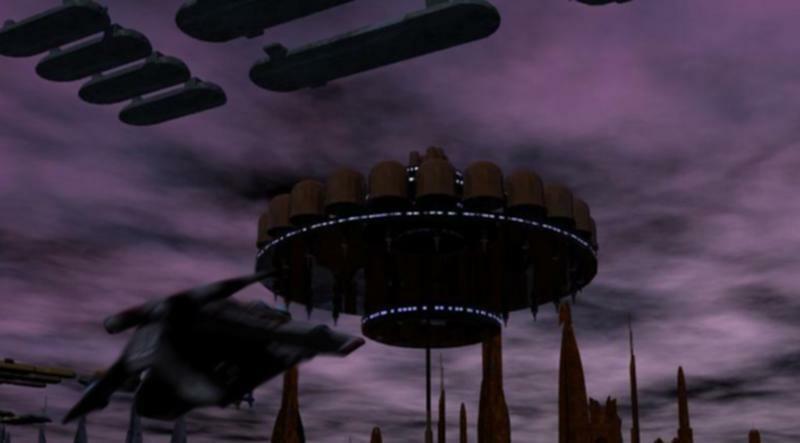 the vessel goes towards the works area of the galactic city scape. 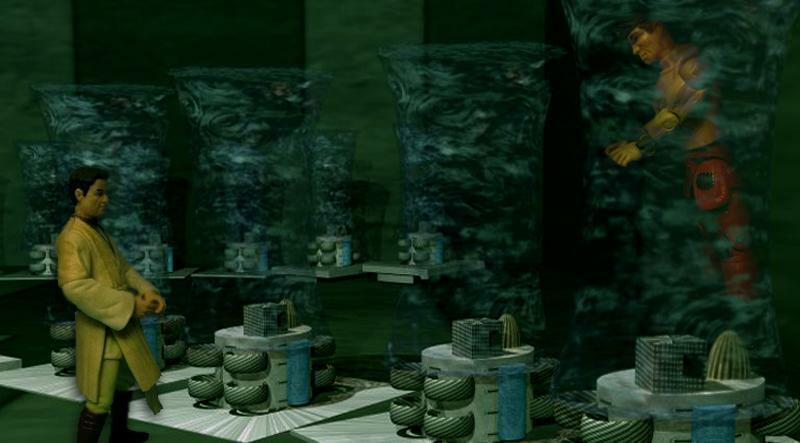 the ion trial leads them to an abandoned Tibanna gas platform. Dilbun Vont: (narration) why does gittin pinched feel like life day? 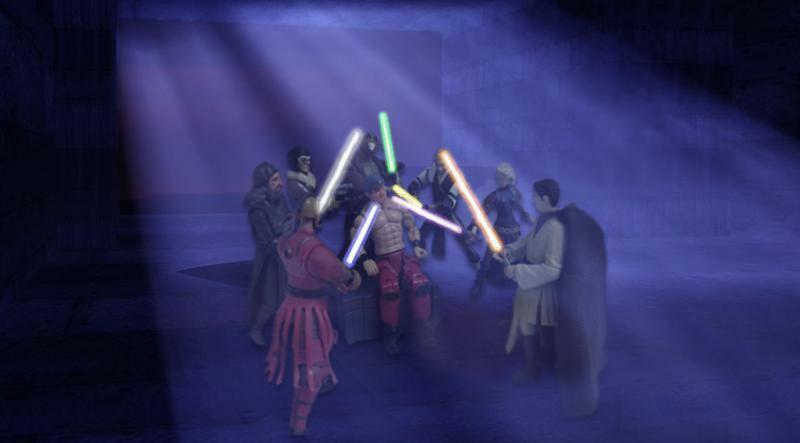 The Six Jedi surround the seated figure of Dilbun Vont with lightsabers drawn. Rostek Horn approaches the murderer with his blaster pistol leveled on the grinning man. Empatajayos Brand: in the name of the Galactic Senate of the Republic, you’re under arrest. Rostek Horn: what’s so kriffing funny about any of this creep! Koffi Arana: Is this really the guy we’ve been unable to catch? i mean come on look at him. he’s fringe garbage! An’ya Kuro: now, now Master Arana remember what yoda taught us as younglings. control, you must learn control. no matter how chunky a pile of fodder may be, is it not the will of the force for it to be so? Dilbun Vont: (chuckles) guuud one. Nejaa Halcyon: do you deny your actions? or does my companion need to experience your rampage first hand? Dilbun Vont: come on over here Caamasi, hope you brought a change of shorts. Ylenic It’kla: (extending a hand towards vont) emotion, yet peace…ignorance, yet peace…passion, yet serenity…Chaos…yet..
suddenly It’kla is hit with a blast of pure madness, the impulsive memories are a cluster of agony. both induced upon others and self inflicted upon Vont. Years of suffering encumber the peace loving caamasi. Ylenic It’kla: (withdrawing) a stable memnii cannot be formed from this…such madness his mind is not normal. Empatajayos Brand: is he the lekku loper or not! Ylenic It’kla: too much reckless hate within him, certainty cannot be gleaned from his mind. Rostek Horn: well i highly doubt this karking ferglutz is a good house keeper, gotta be some hard evidence on him or in this dump. Ranik Solusar: what’s so funny…Di? in a sudden urge of clarity Vont recalls his years on Bandomeer in the agricorps and the harsh treatment of the Failed Padawans. 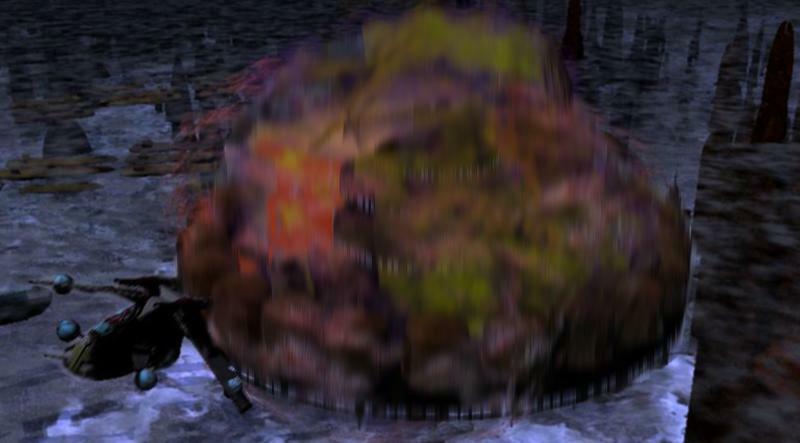 taking charge of the situation, vont releases his hold of a detonator. explosions begin to rock the refinery. 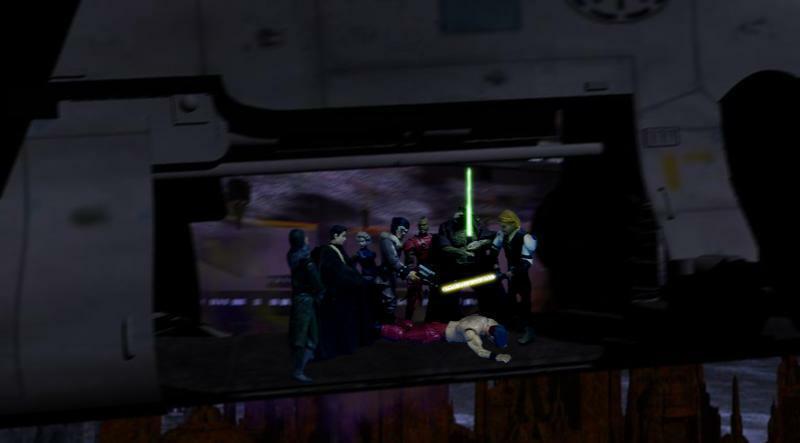 Agent Horn knocks Vont over the head with the but of his Blaster pistol, Halcyon and Horn drag the murderer out of the exploding platform as the other jedi cover their exit. the LAAT lifts off as the Refinery plummets into a portion of the works exploding as it does so. The Jedi look on as the blast is tended to by the emergency firespeeders. An’ya Kuro: there is a greater evil at work here boys, all of this has had a purpose to which we are blind. Koffi Arana: i feel it also. every aspect of this was arranged, there is no way a mentally unstable being could have eluded us while carrying on this high profile string of murders..its just not possible! Ranik Solusar: calm yourself Koffi. we got the guy, that’s all that matters now. Nejaa Halcyon: how exactly do you figure that one Solusar? Rostek Horn: yeah the top brass essentially told us their not gonna except a memnii as evidence and all the evidence of this creeps involvement just went up in flames and was hover carted down Vos gesal street. Empatajayos Brand: so its our word against…his. the group assembled looks down at the knocked out form of Dilbun Vont. Yoda: (via hologram) most disturbing is your account of these matters Master Brand, most disturbing. 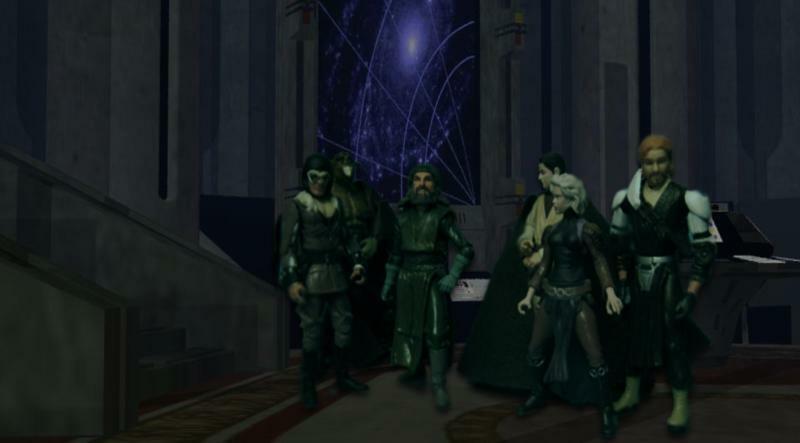 Empatajayos Brand: Until you or another member of the high council returns it appears the chancellor’s office will not allow the Judicial Department to hear of Master It’kla’s Memnii nor has the progeny of the last victim been relocated since we turned him over to the correctional authority. 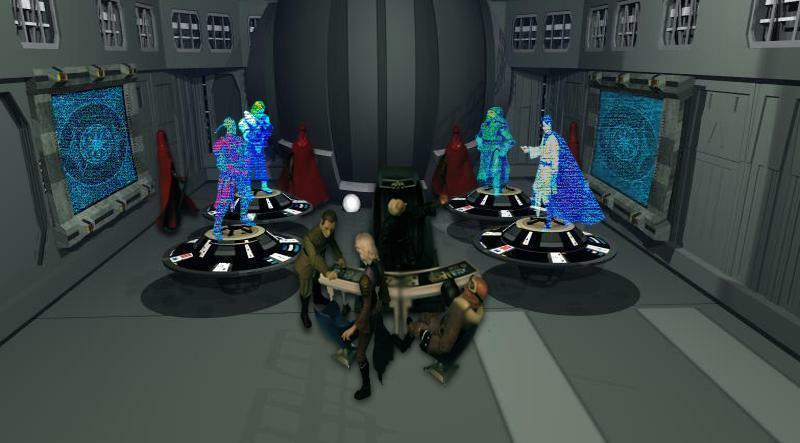 Yoda: (via hologram) what of the task force? where have they gone? Empatatjayos Brand: shortly after we apprehended The Lekku Lop… Di Vont, they where reassigned and Agent Horn was escorted back to Corellian space. Yoda: (via hologram) what of the majordomo’s information leaking? and what of Master Solusar’s memories regarding this vont’s time on Bandomeer? Empatajayos Brand: much like the Chancellor’s stonewalling and the disappearance. nothing master, the records of the vont family murder on Naos III where apparently lost thirteen years ago and the correctional authority has nothing either. aside from the fact that we’ve got this guy in the cell across from me, we’ve got nothing on him. Yoda: (via hologram) and powerless against the will of a war time chancellor we remain, um a clandestine agent this one must be. Empatajayos Brand: it would also appear the public has already forgotten about the investigation, it’s as if it all never happened master. the whole mess, all the finger pointing and all that disgrace for nothing. Yoda: (via hologram) in vain your drag through the mud has not been, Master Brand. aware are we of the lengths which our enemies will sink to discredit us we are. redeployed the others have been you say? Empatajayos Brand: in light of the chancellors recent command restructuring amendment. i’ve withdrawn myself from the Grand army, master. 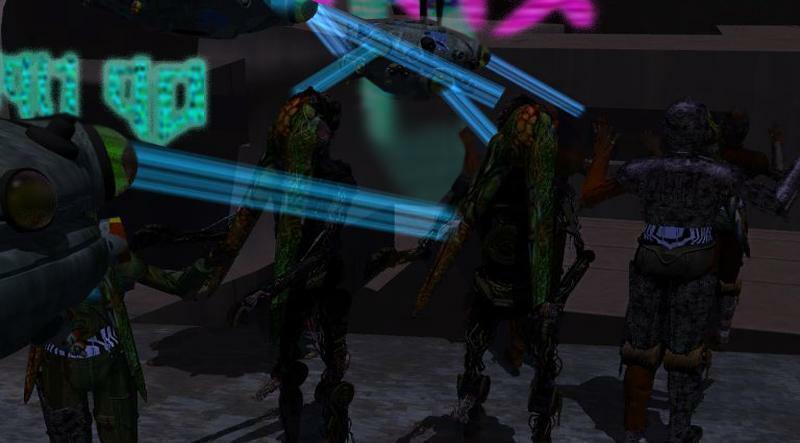 my duties lie at the behest of the council, not a war mongering dianoga like Palpatine. Yoda: (via hologram) um, calm yourself Master Brand. agree with half of your thoughts i do, and wish i where able to join your stance on this position. as Grand Master however i cannot. Empatajayos Brand: i agree, another schism cannot be allowed. but i will no longer serve in the war effort, send me to bandomeer or expel me from the order if you please. 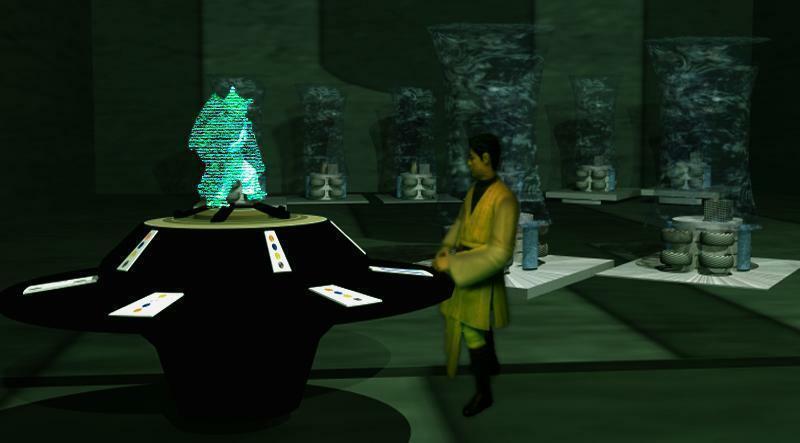 Yoda: (via hologram) continue with this lekku loper interrogation you must Master Brand. perhaps within his mind lies the keys to unlock the mystery of the Sith. Empatajayos Brand: yes master. May the force be with you. 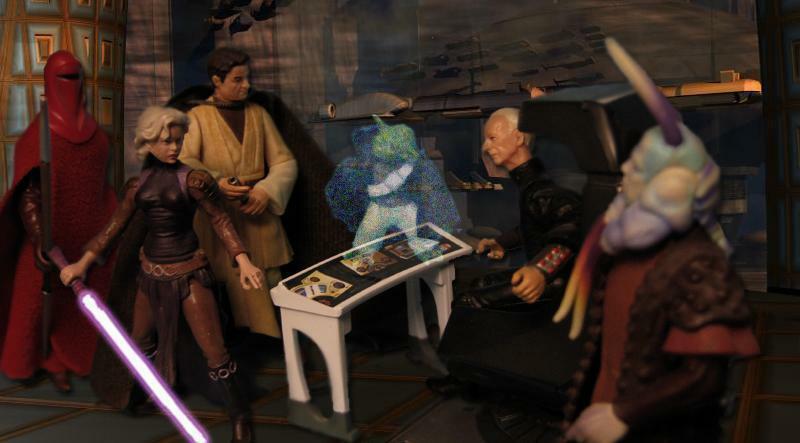 the hologram of yoda vanishes. 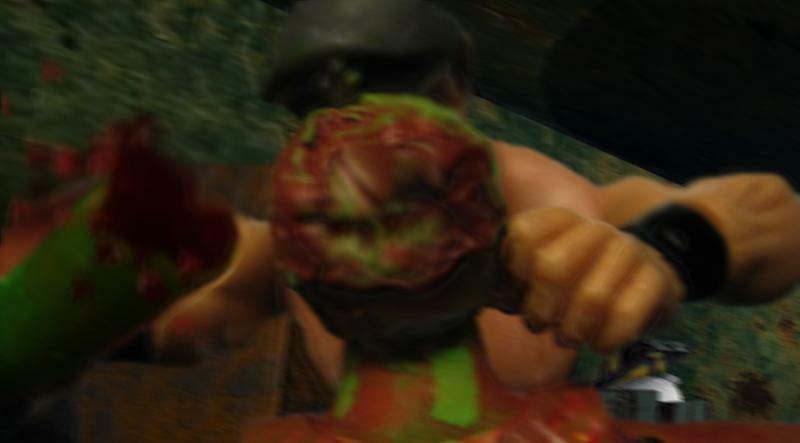 Dilbun Vont: what the hell iz that lil green frakker? i neva sin a ding lika that in my life? Empatajayos Brand: he’s the grand master of the Jedi Order and that’s all you need to know for right now. Dilbun Vont: (chuckles) wow, so ya guys take in’all pathetic forms ov life huh? Empatajayos Brand: the jedi respect all forms of life, including evil forms. that i can assure you is the only reason why your still alive…Vont is it? Dilbun Vont: nice try, i’ll stick with mr. innocent till released from illegal confinement. Empatajayos Brand: i’ll get to the point then, my fellow investigators and i no longer believe that you acted alone. one as clearly unhinged as yourself could not have maintained this act all alone. your rampage was staged and clearly allowed to go on as long as it did. and your capture was a set up to kill all of us on that refinery. Dilbun Vont: dat thing blew case i blew it up pal, and jus so ya know before you start chargin me, there ain’t no laws aganist taking out derelict platforms in the works. Empatajayos Brand: really is that why the forensic droids found another set of Detonite on that tub? Dilbun Vont: wow, you must really be the brains behind that gaggle of lazorsword jockeys they sent afta this loper guy. so i’m supposeda to git all pissy and yell: “that slimeo tryd to kill me after all this junk i did” and so and so fourth. Darth Tyranus: all the great Jedi investigators, discredited and redeployed far from your trail. simply amazing my master. Darth Sidious: (via hologram) Yes…yes. Darth Tyranus: the only matter that troubles me with this plan, is how do you intend to dispose of Vont. now that he is in Jedi custody, surely he can be of no further use to you? 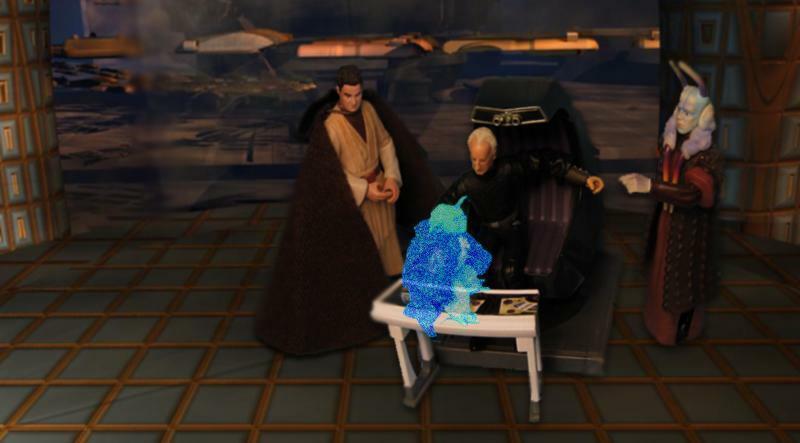 Darth Sidious: (via hologram) the jedi know not what they’ve allowed into their midst my apprentice. that is all you need to know, i assume all is in readiness on Susevfi? Darth Tyranus: yes my master, Tyris and his Jensaarai acolytes await It’kla,Solusar and Halcyon. they will be no match for them. Darth Sidious: (via hologram) i once made an assumption along those same lines my friend. Darth Tyranus: what of the public outcry against both the offices of the chancellor and the jedi order? 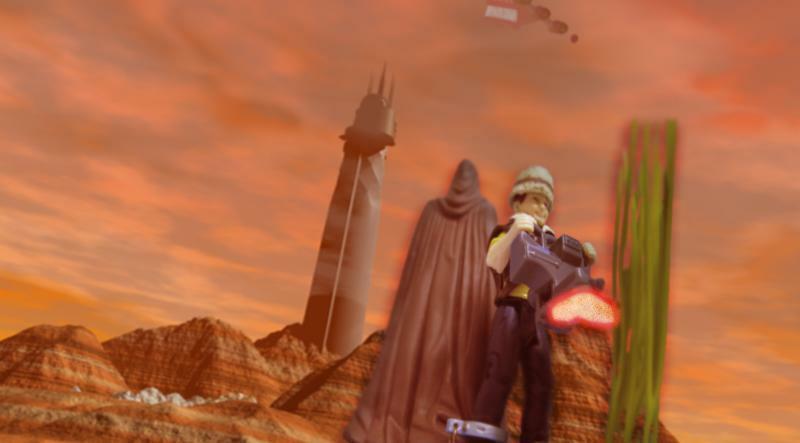 surely the legend of the lekku loper will ignite again to give us room to operate within? 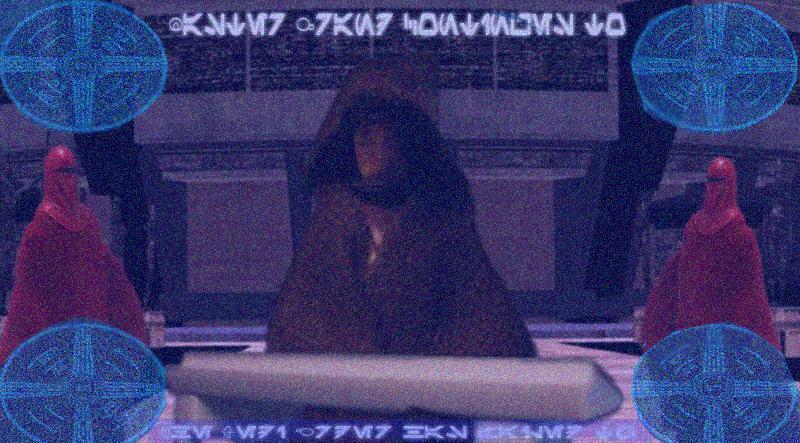 Darth Sidious: (via hologram) you still have much to learn my apprentice, you allow jedi weaknesses to govern your thoughts regarding other sentient lives. this entire chain of events has only served to bring the jedi under tighter control while discrediting their investigatory methods and it has also imposed a greater authority upon the home guard. Darth Tyranus: than you wish to reign in the garbage in the lower sectors of the capitol my lord? is there a threat in that area? 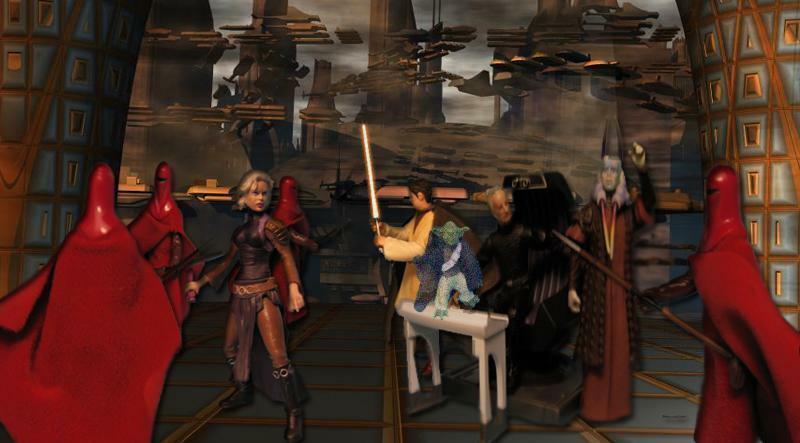 Darth Sidious: (via hologram) forget it Tyrannus, it’s only CoCo Town.